OVERSTRAND - Opened in March 1907, Overstrand was the first station out of Cromer Beach on the line to North Walsham via Mundesley. The station was a crossing point with a island platform and, such was the popularity of Norfolk as a holiday destination, there were 17 trains each day each way. Nevertheless, the line was never profitable and the section between Mundesley and Cromer Beach closed in April 1953. 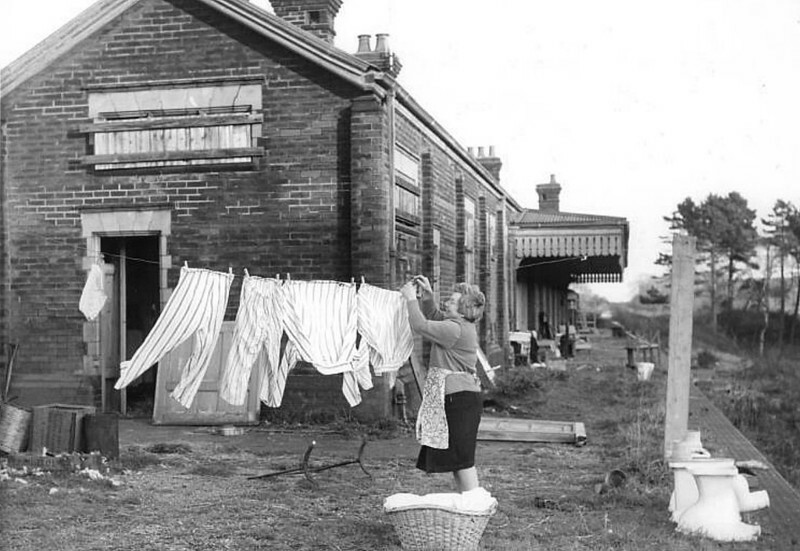 The station is seen here as Mrs Wallace, the new owner, does her washing in November 1960. The station buildings are still in use as a private house.